The Cathedral Basilica of Saint Denis is a large medieval abbey church in the commune of Saint-Denis, now a northern suburb of Paris. The abbey church was created a cathedral in 1966 and is the seat of the Bishop of Saint-Denis, Pascal Michel Ghislain Delannoy. The building is of unique importance historically and architecturally. The site originated as a Gallo-Roman cemetery, in late Roman times - the archeological remains still lie beneath the cathedral; the people buried there seem to have had a faith that was a mix of Christian and pre-Christian beliefs and practices. Around 475 St. Genevieve purchased some of the land and built a church. 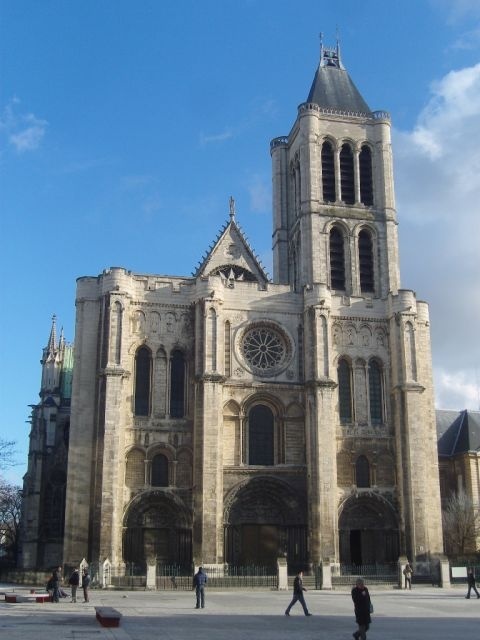 In the 7th century, the church was replaced by a much grander construction, on the orders of Dagobert I; it is claimed that Dagobert also moved the body of Saint Denis, a patron saint of France, to the building.